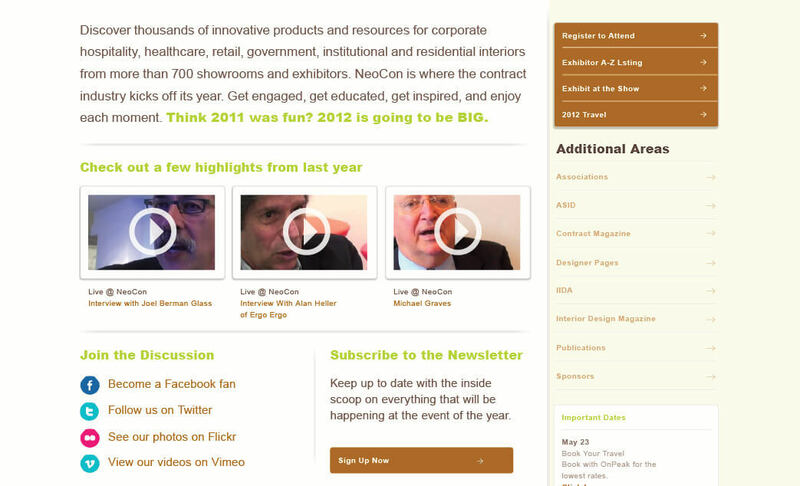 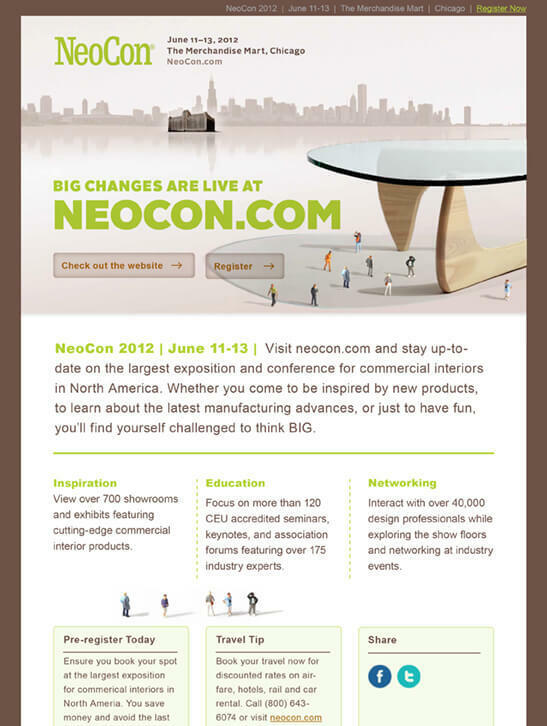 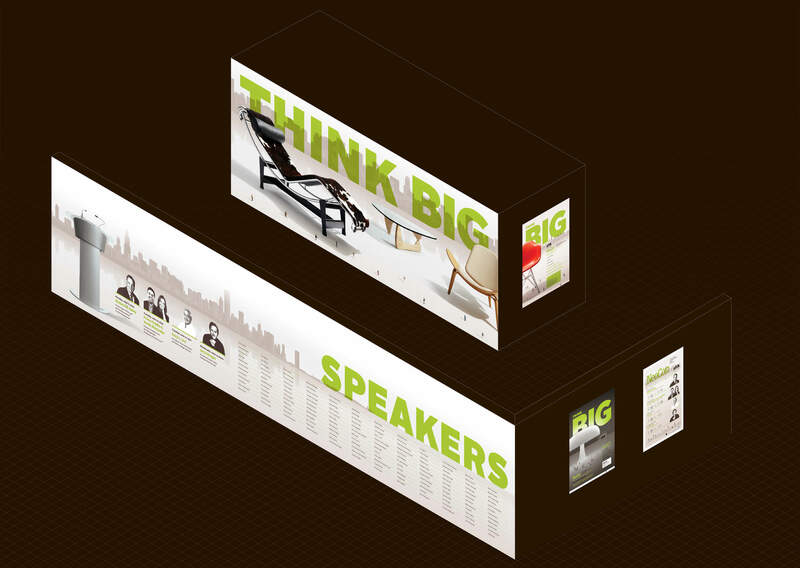 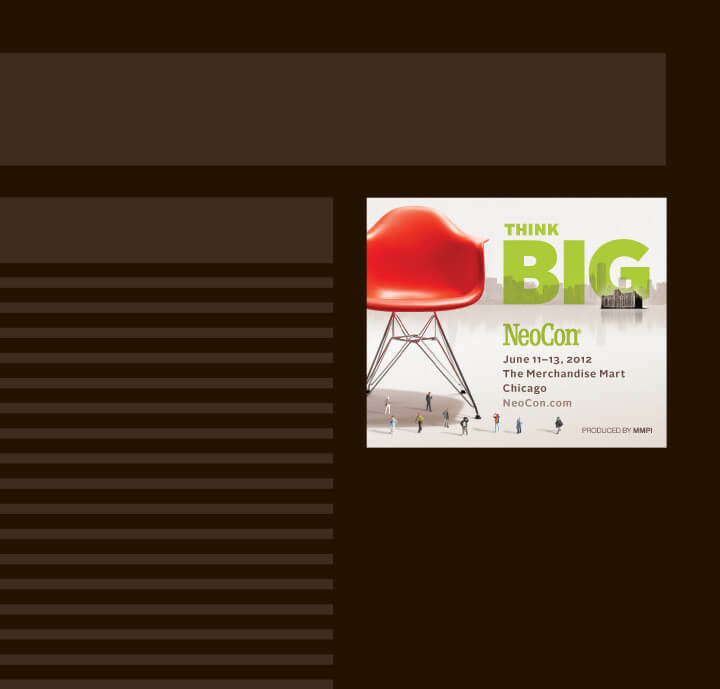 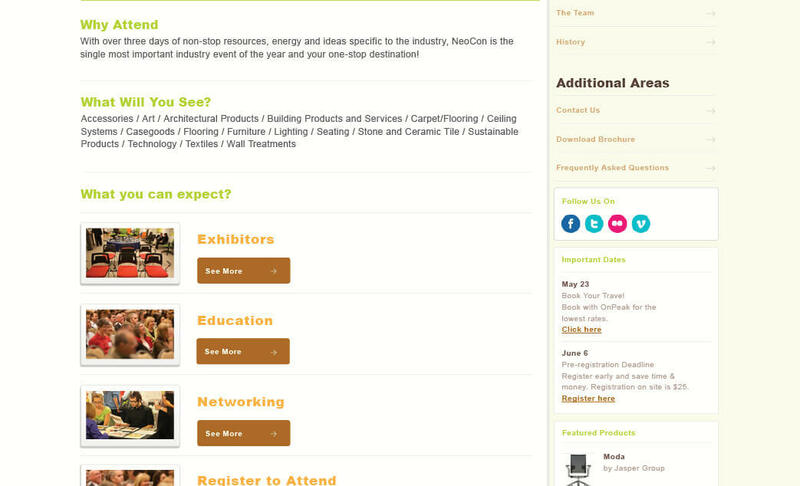 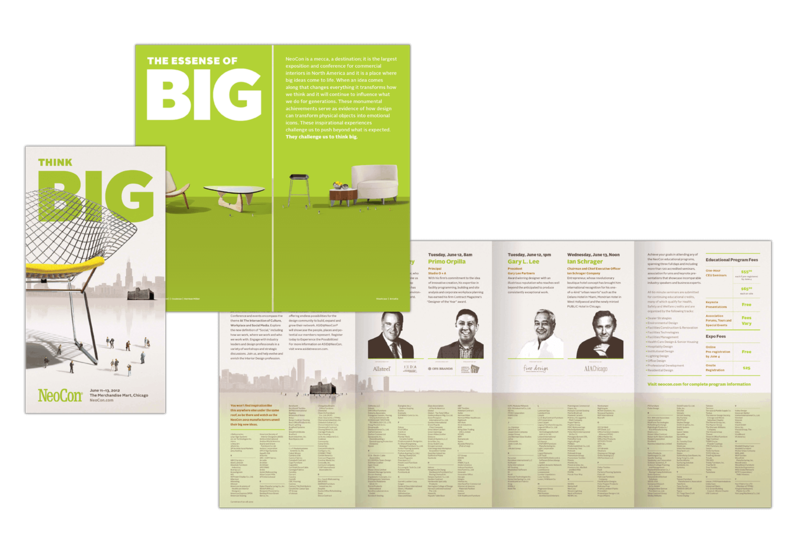 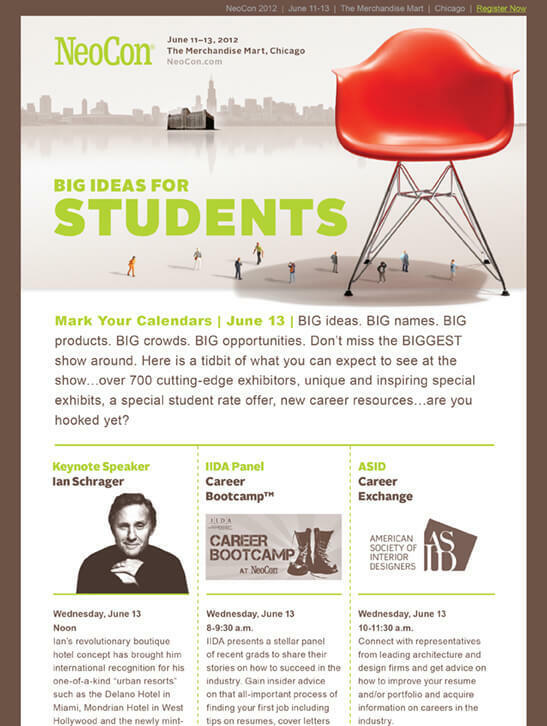 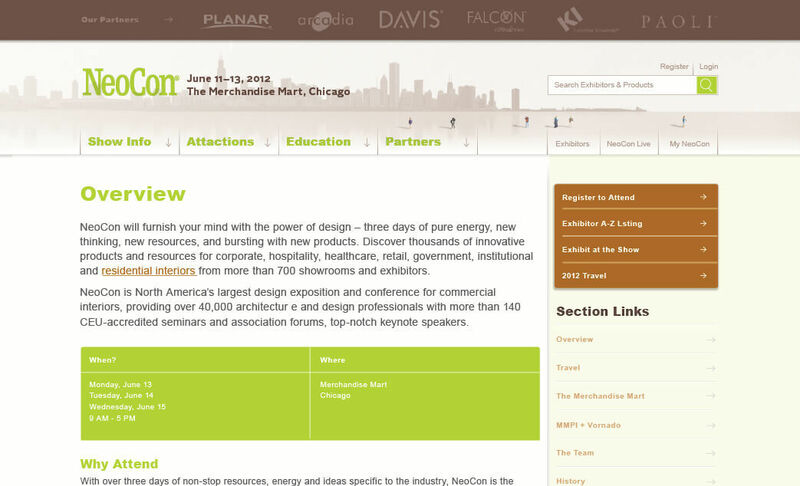 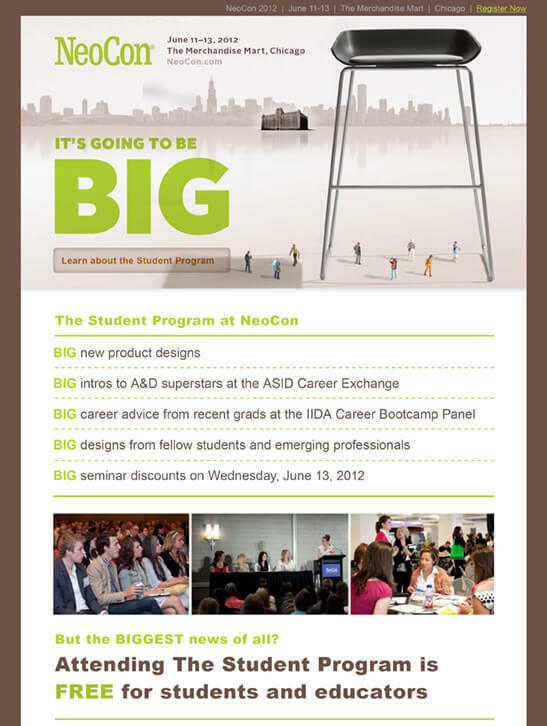 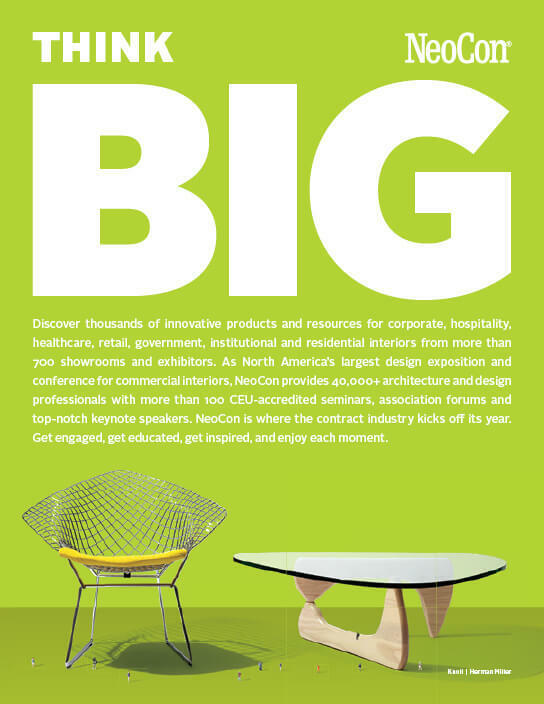 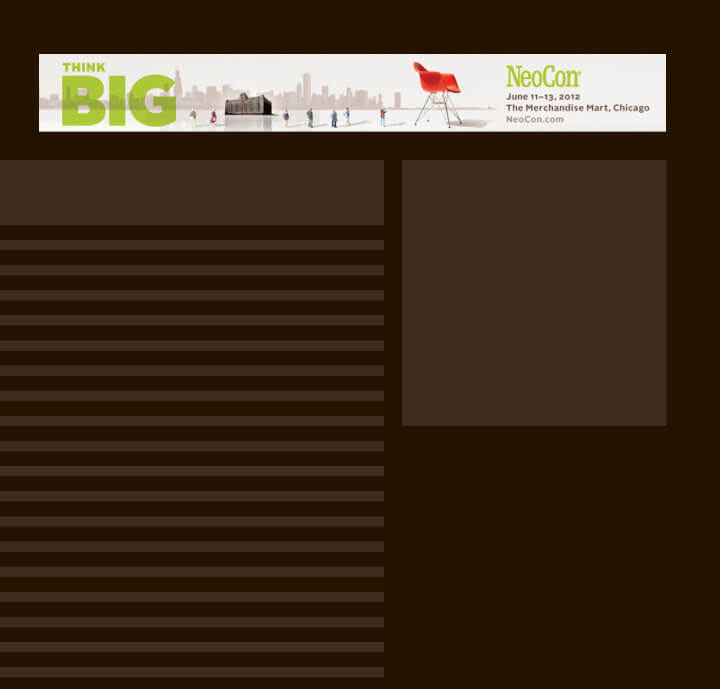 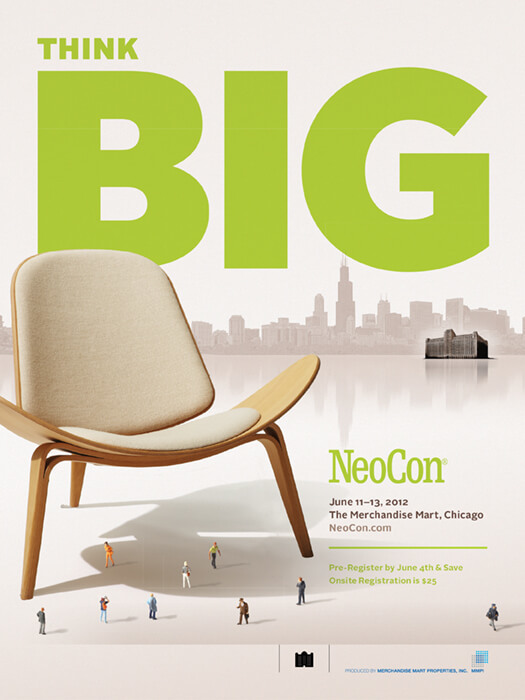 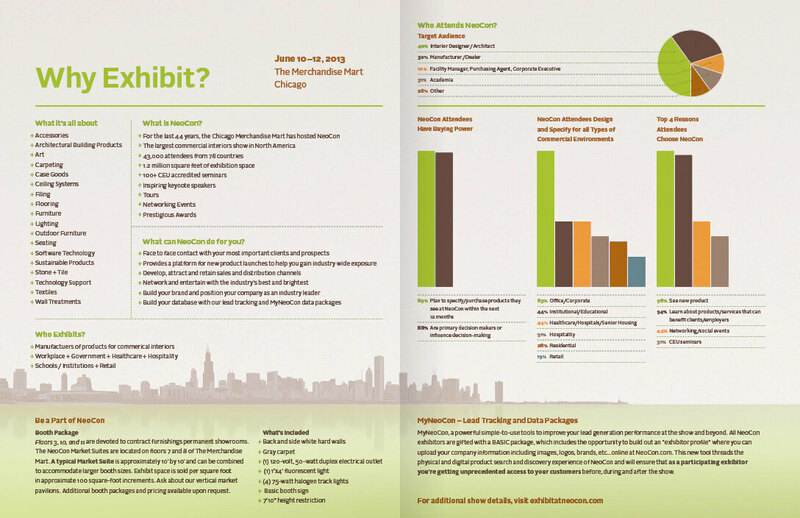 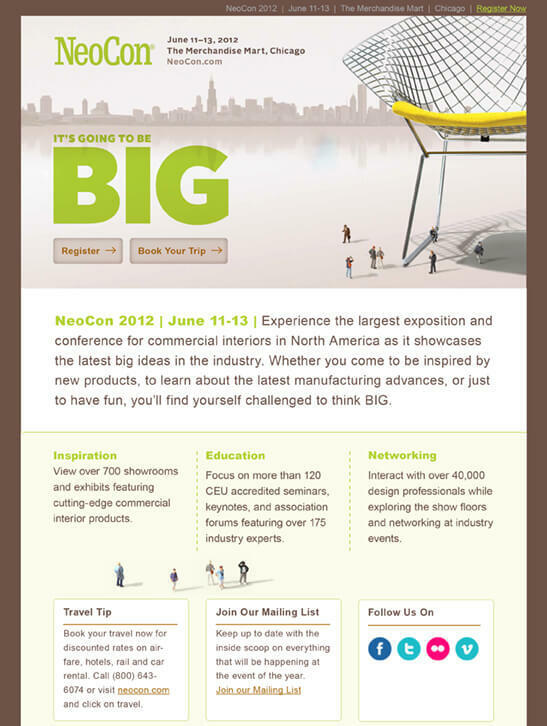 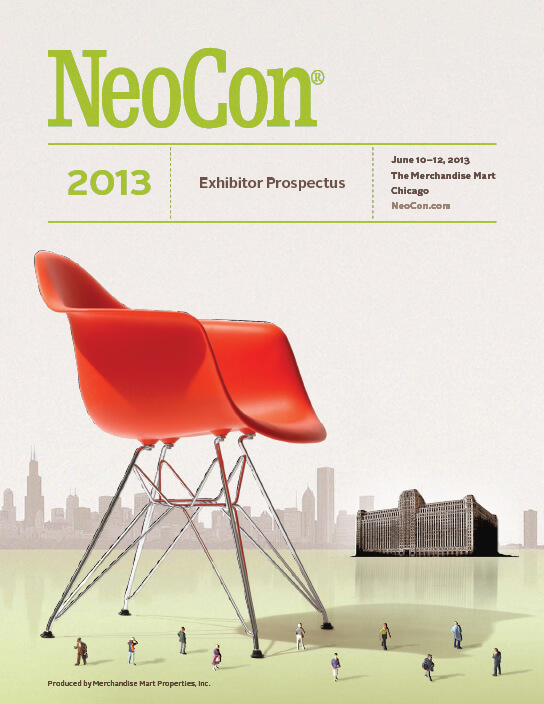 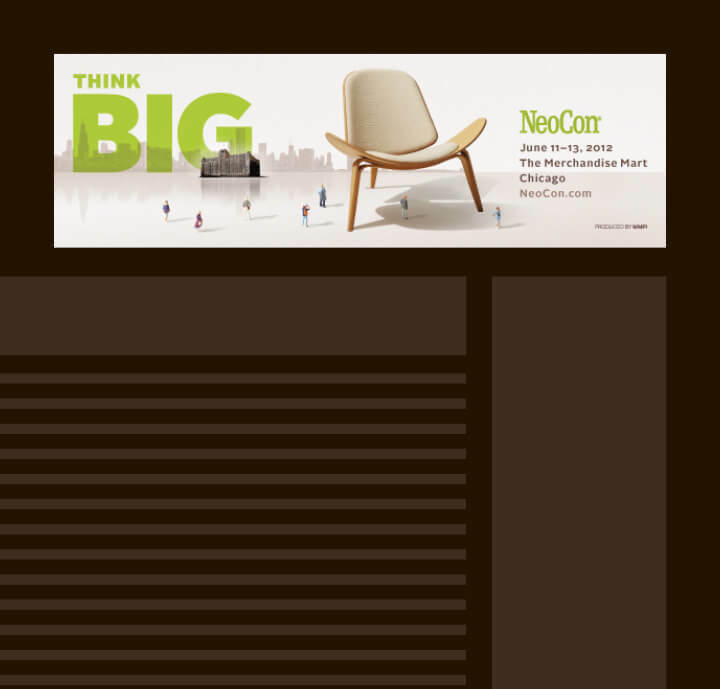 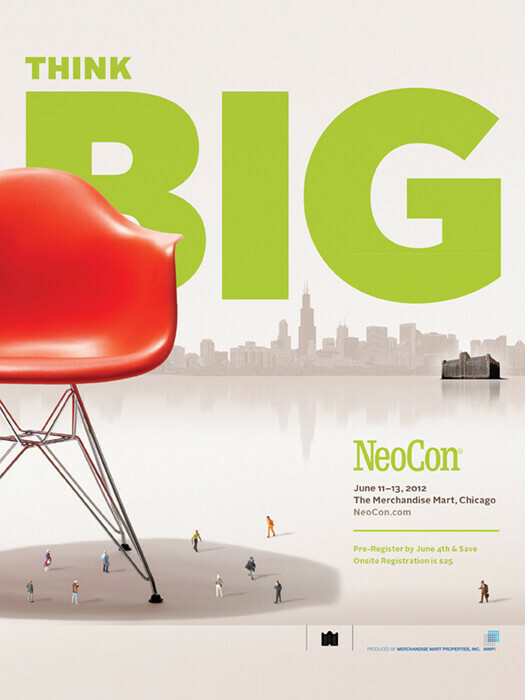 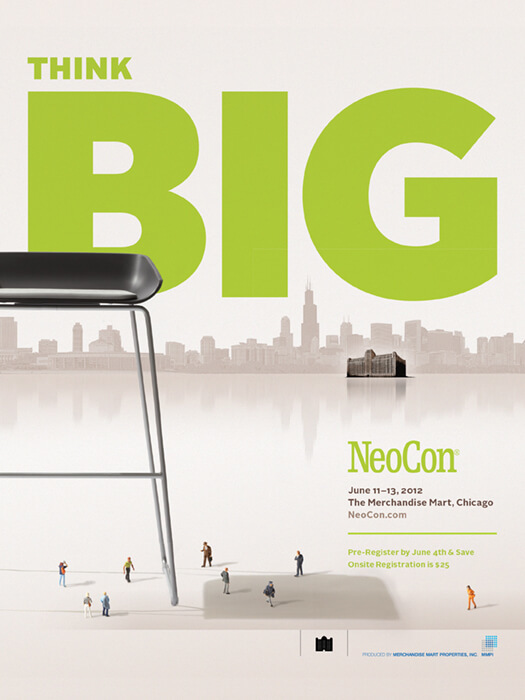 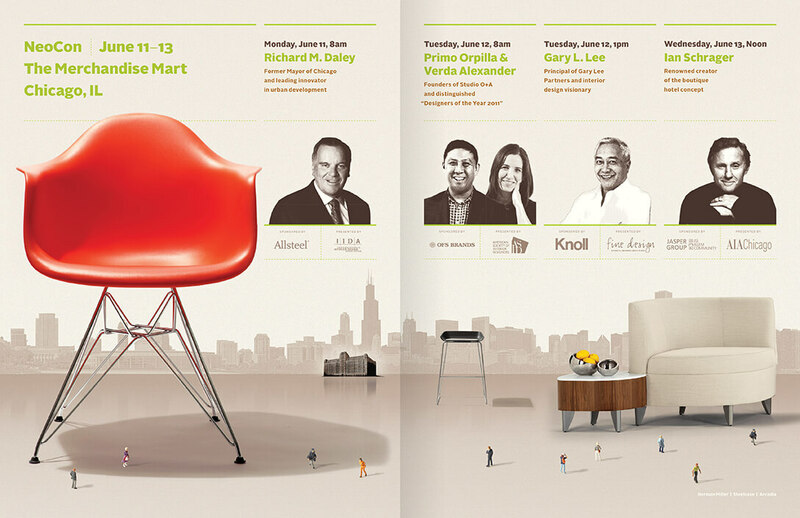 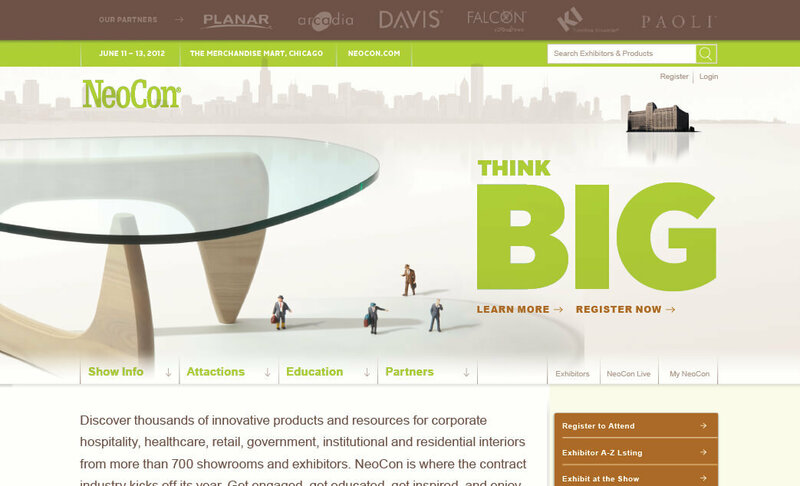 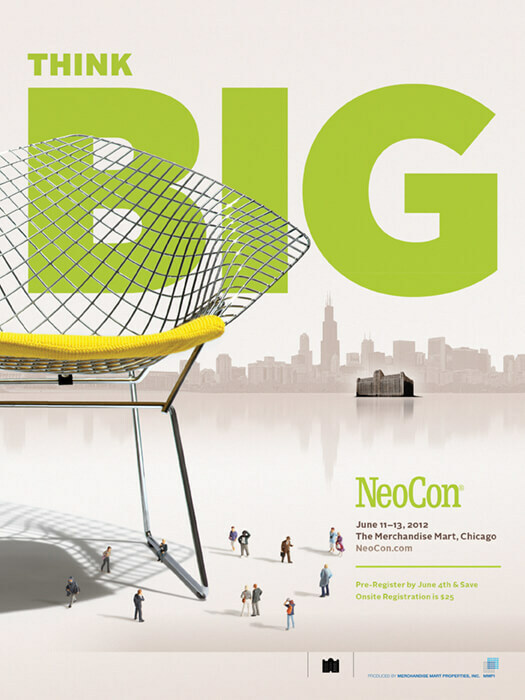 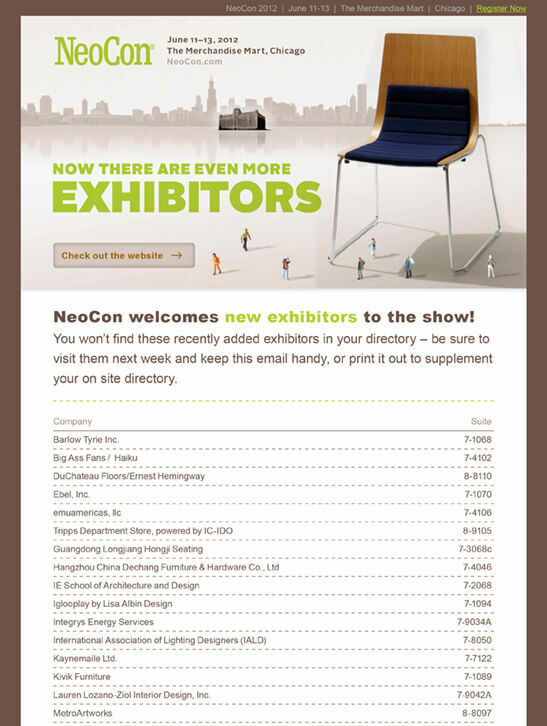 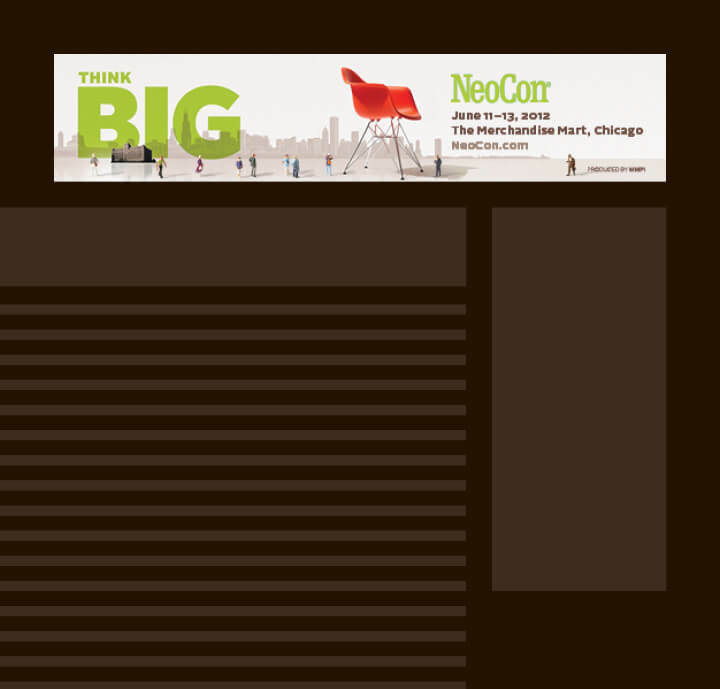 NeoCon is a mecca, a destination; it is the largest exposition and conference for commercial interiors in North America and this year its 40,000 attendees were challenged to think BIG. 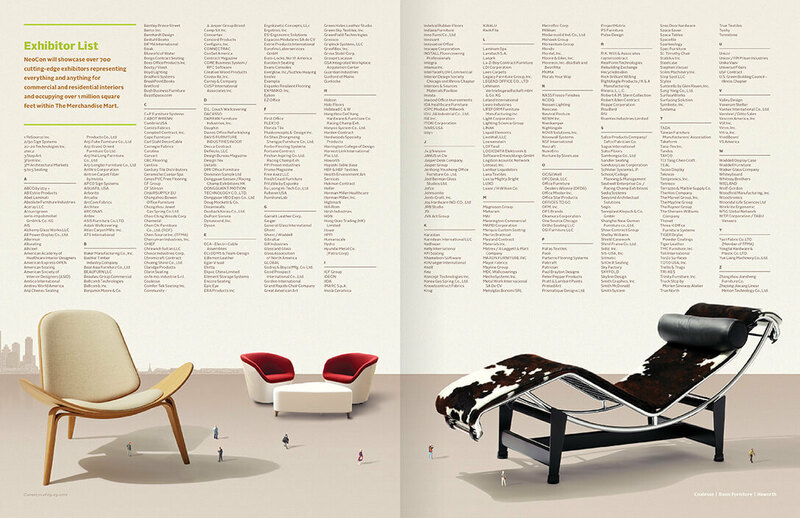 Conceptually, the idea translated into the creation of a fantastical space that immortalized a select number of iconic furniture pieces. 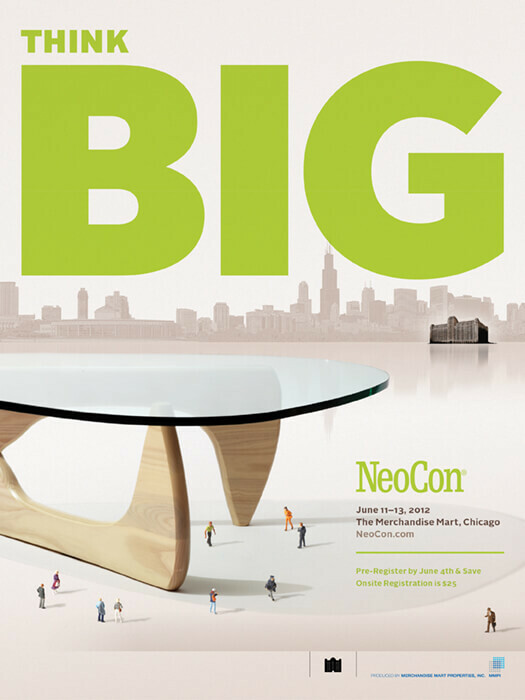 Custom photography of the furniture was combined with miniature figurines to create a variety of different scenes that were used throughout the marketing campaign.